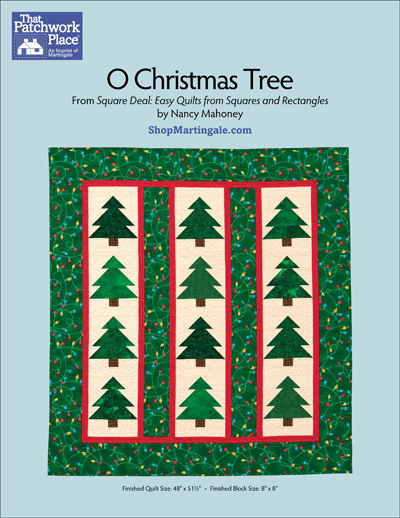 Unpack this quilt year after year to officially announce that the holidays are here! 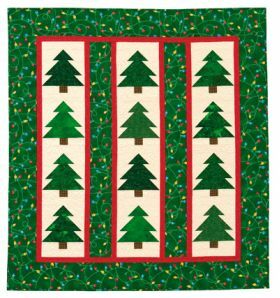 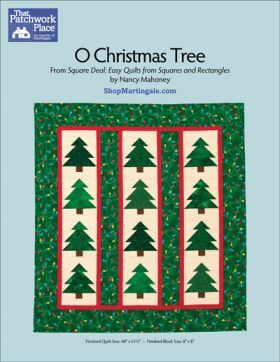 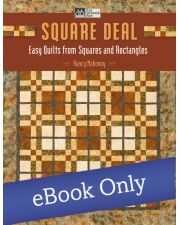 Make each tree with simple strip piecing and square-and-rectangle units; then stack the units and sew into vertical rows. 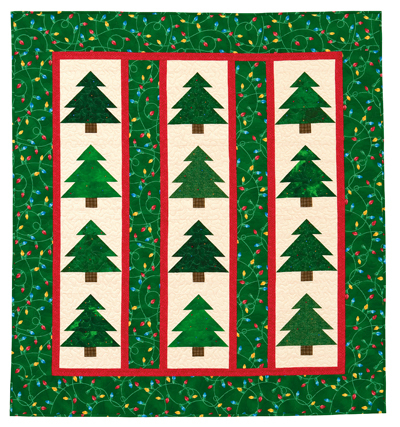 Surround your holiday forest with a traditional Christmas novelty print.